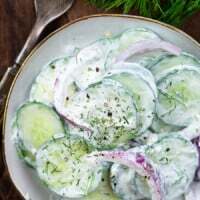 German cucumber salad is a low carb, healthy side dish that comes together easily with just a handful of ingredients. 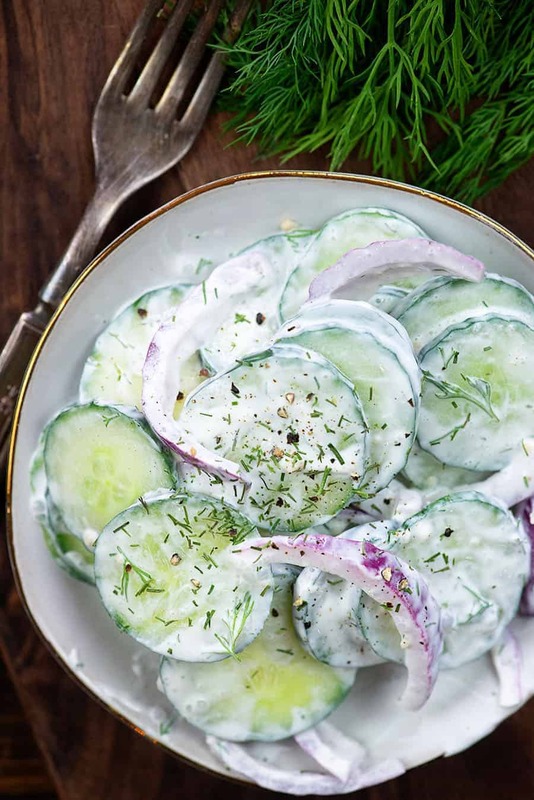 Made with fresh cucumbers, red onion, sour cream, vinegar, and dill it’s a refreshing side dish for a hot summer night. Growing up, my mama would always slice up cucumbers to go along with summer dinners. I was actually in my 30s before I started enjoying cucumbers that were not pickled. Makes me sad to think of all the time I missed chowing down on these crunchy, refreshing, low carb vegetables! Cucumbers are life, man. 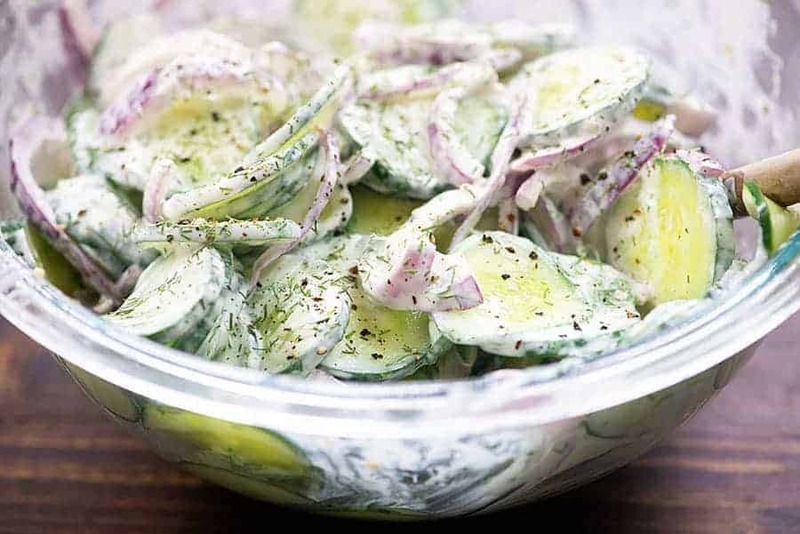 I still peel and slice cucumbers and serve them with a sprinkling of salt for a simple summer side dish, but you’ll more often find my cucumbers in this German cucumber salad recipe. It’s creamy, it’s refreshing, and it goes great with just about anything. You’ll start with a couple of English cucumbers. Slice them nice and thin using either a sharp knife or a mandoline. Line a baking sheet with a tea towel and lay the cucumber slices out on the towel. Sprinkle them with salt and let them sit for 30 minutes. This will help the cucumbers to release some of their water so that your salad doesn’t end up too runny. 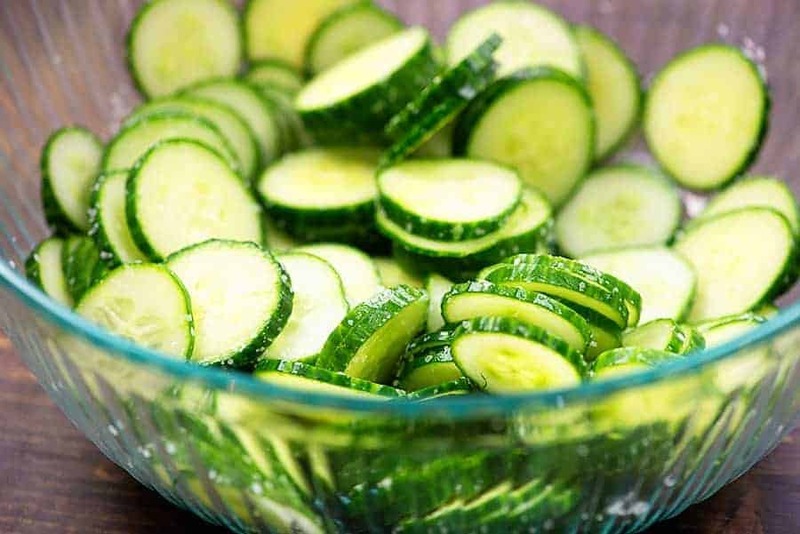 Pat the cucumbers dry and toss them in a big bowl. Slice up some red onion, mince some garlic, and chop some dill. Add all of this to the bowl of cucumbers and add some sour cream and apple cider vinegar. I put in about a teaspoon of sugar substitute for just a hint of sweetness, but you can skip this entirely if you prefer. I often use Swerve as a sugar replacement. It doesn’t have a funky aftertaste, has zero net carbs, and can be purchased on Amazon through my affiliate link here. Stir everything together and serve! 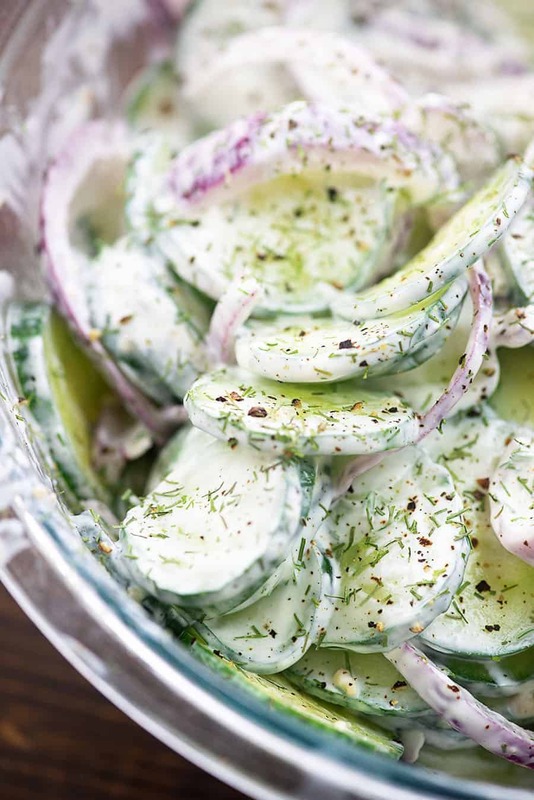 It doesn’t get much easier than this cucumber onion salad recipe, right? Asparagus Stuffed Chicken: Chicken breast stuffed with cheese and asparagus and wrapped in bacon. Steak Bites: Always a hit in my house! Lemon Baked Cod: Such a simple dinner, but packed with flavor. Give this German cucumber salad recipe a try and let me know what you think! For more recipes, be sure to follow me on Facebook! 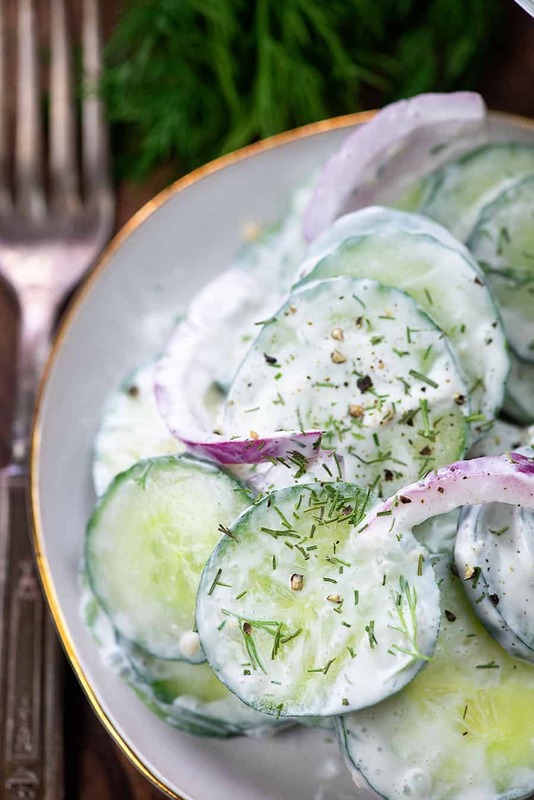 This cool and creamy cucumber salad recipe is made with fresh cucumbers, red onions, garlic, and sour cream. It's perfect for a hot summer night. Line a baking sheet with a tea towel. 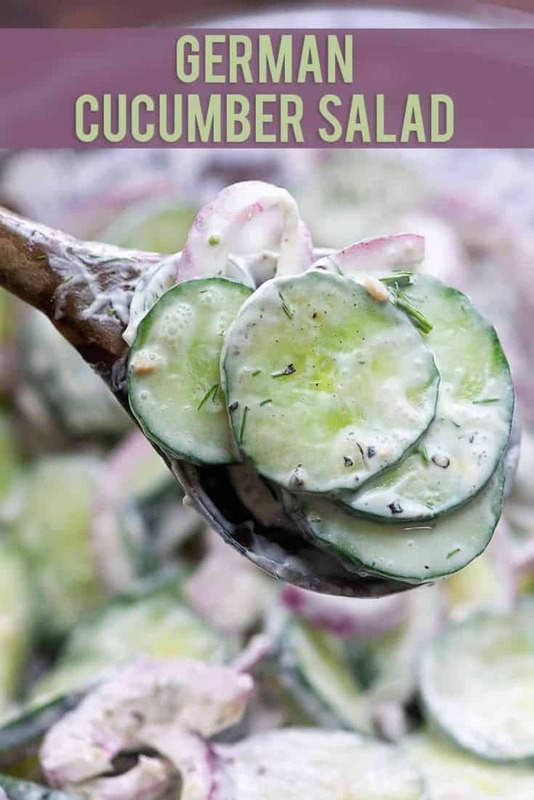 Thinly slice the cucumbers and lay on the prepared baking sheet. Sprinkle with the salt. Let sit for 30 minutes at room temperature to allow the cucumbers to release their water. Pat cucumbers dry and add to a large mixing bowl with the red onion and garlic. Whisk together the sour cream, vinegar, dill, sugar substitute, and pepper in a small bowl. Pour the dressing mixture over the cucumbers and toss to coat. If you deseed the cucumbers first it will prevent them becoming too watery. Long ago a local restaurant served cucumbers and sour cream. Loved it, no dill, no garlic, but the rest of the recipe is the same. Make it alot!! I was brought up on cucumbers, sour cream, dill salad. My mother had plenty of cucumbers in her garden. Didn’t know it was a German salad, we’re Polish. I still love this cucumbers this way. I make this often but use half sour cream and half mayo. Usually, do not add dill just a little salt and pepper. Looks so delicious!! I’m gonna make this for the first time soon! Have you ever tried it with Greek yogurt instead of sour cream? Thinking about trying that. Added more dill and salt and used rice vinegar instead of apple cider. This stuff is really delicious! You can’t go wrong with extra dill! Glad you enjoyed! Would white vingar work? Outta apple cider. 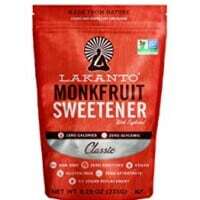 I don’t use sweetener in anything, can you use sugar in the raw? Yes, any type of granulated sweetener/sugar is fine. Can you use regular fresh garden cucumbers instead of English cucumbers?